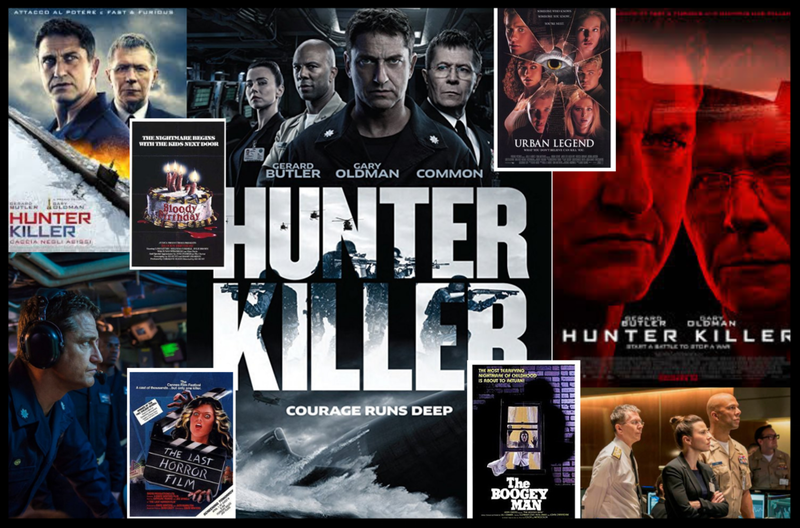 This week we talk the new Gerard Butler, submarine set, action thriller, Hunter Killer, co-starring Gary Oldman and Common and we make a surprising and podcast world shattering discovery! We also spend a little time delving into our horror/Halloween viewing - including Urban Legends, Bloody Birthday, The Boogey Man and The Last Horror Film. There's also so-called "comedy" and music - so enjoy! Find our co-host Jim and follow him on Twitter.